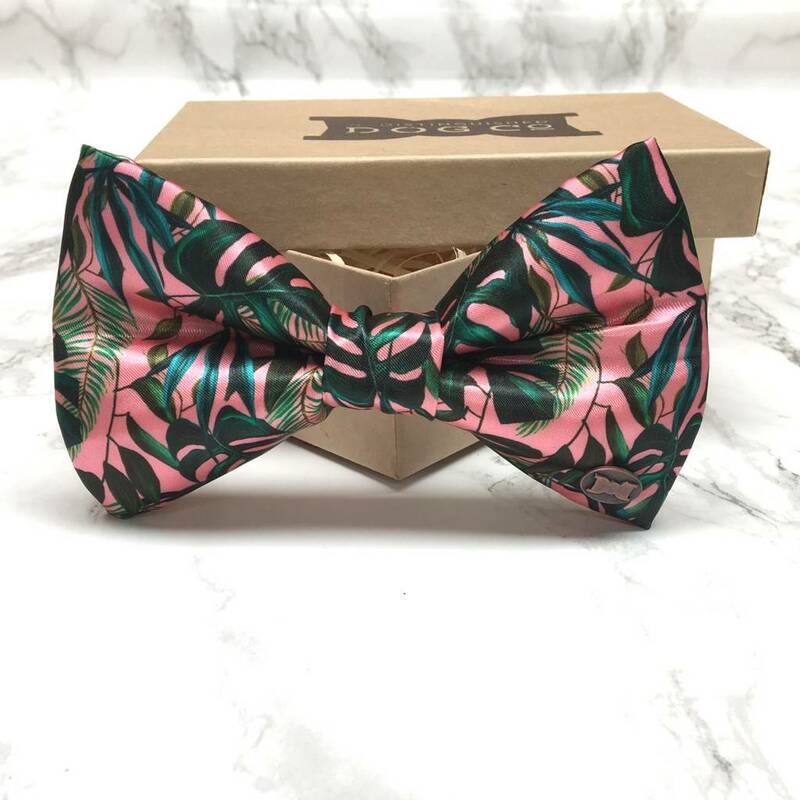 Time to bring some Miami vibes to your pups wardrobe with this delicious Totally Tropical dog bow tie. 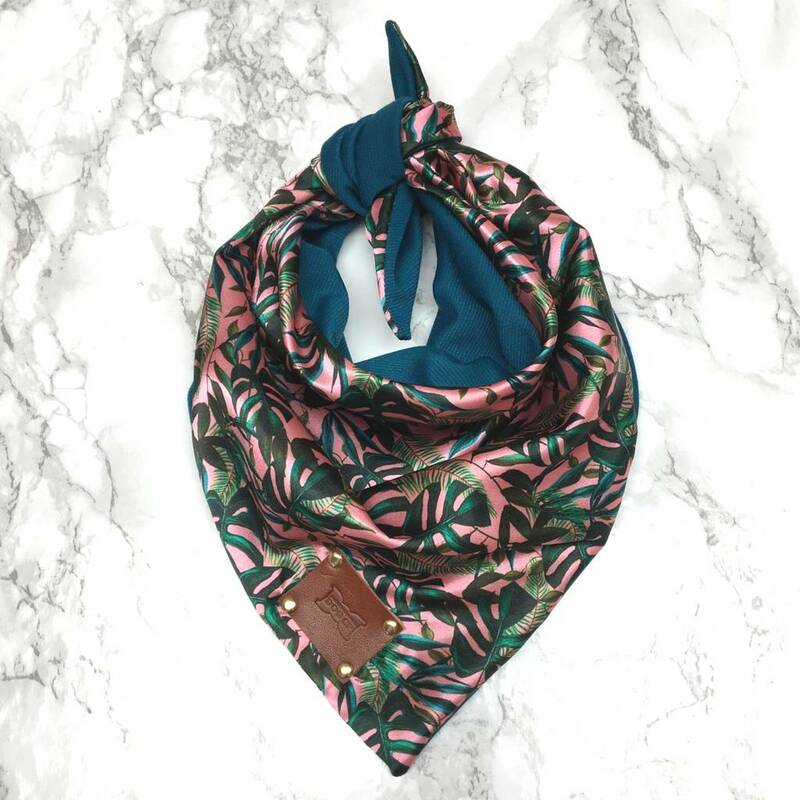 Made with luxurious satin and featuring monstera and palm trees, this beauty is perfect to wear when lounging by the pool, chilling at the beach and looking the part in the park. 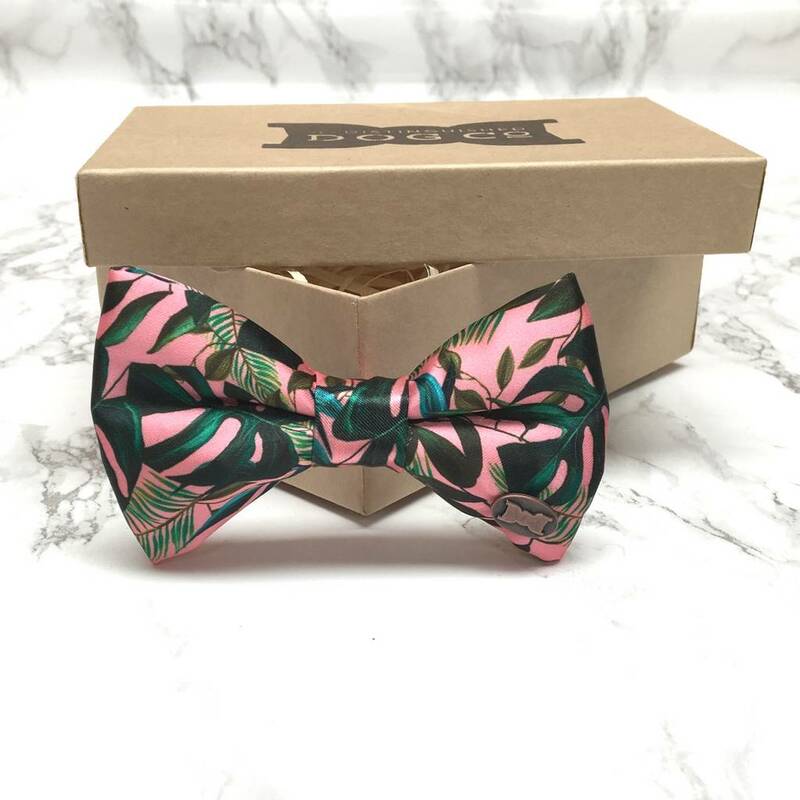 Hand made in Devon and designed with two elasticated loops on the back, the bow tie simply slides onto any collar for a stylish and sophisticated look. Comes in it's own box to keep it safe when it's not adorning a dapper dogs’ collar...if they ever want to take it off. Available in two sizes; small and large. This product is dispatched to you by The Distinguished Dog Company.